The 2014 hurricane season continues to be well below long-term average by many measures. We are now about a week past the climatological peak in hurricane formation, and so far we’ve had 5 named storms, one major hurricane (Edouard), and no US landfalls. Long-term annual averages for these quantities are 11 to 12, 2 to 3, and 1 to 2, respectively. In our last column we discussed two factors that affect Atlantic hurricanes---the state of El Nino/Southern Oscillation (ENSO) and Atlantic sea-surface temperature (SST). Monthly forecasts for these quantities continue to be unfavourable for hurricane development, namely, a slowly developing moderate El Nino and Atlantic SST cooler than the rest of the tropics. Using these forecasts in a statistical hurricane model results in a continued prediction for below average activity for the remainder of the 2014 season, from September 16 on. This figure shows the forecast rates of hurricane events for storms originating after September 16 state-by-state on the US Gulf and east coast compared to average September 16 plus rates from 1950-2012. Gulf states are 20-35% less likely to suffer an event for the remainder of 2014 than average. 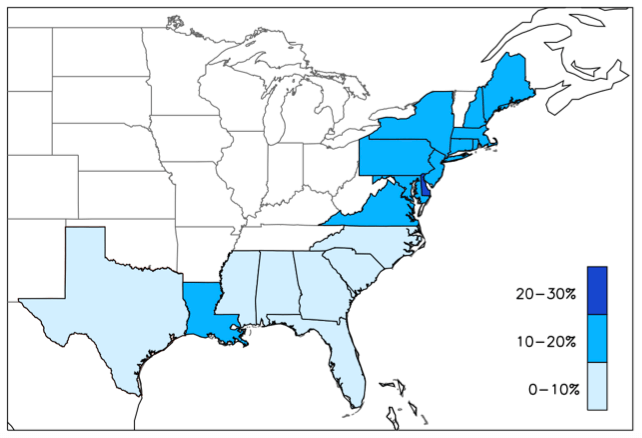 Differences on the east coast are smaller, and overall (Texas to Maine) reduction is about 14%. Of course, the shift in odds depends on the baseline. 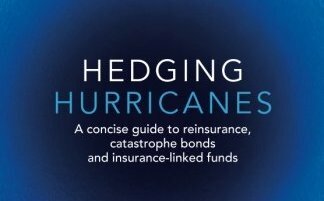 Many analysts at reinsurers and ILS funds use the relatively high activity of recent decades to estimate hurricane hazard. If we compare the remainder of 2014 to a more recent period, then the reduction in landfall rates is more dramatic. At the top of the figure, the baseline can be changed to the 1995-2012 period. The Gulf states are now 30-45% le ss likely to suffer a hurricane event post Sep 16. The overall US reduction is about 18%. Dr. Hall can be reached at timothy.m.hall@nasa.gov.